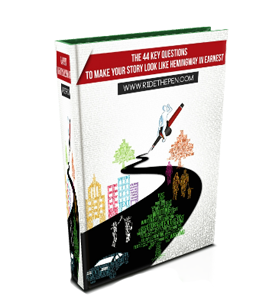 So you are done with your story but not sure how tight it is? Check for any weakness a story could ever have by consulting this handy list of 44 standardized questions - you will know exactly what your story can do and how to improve it. The checklist is free too. I guarantee I will keep your email confidential and never, ever spam you. I will pass on my free checklist. Take me to your homepage now.